Long lasting, self-inking stamps with ink pad you can re-ink or replace when it's worn. 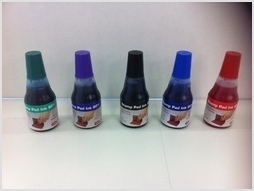 25ml ink bottle with ink suitable for COLOP or IDEAL self inking stamps. Available in five colours: Red, Blue, Green, Violet or Black. Will last you 10 years! Long lasting, self-inking stamp with iconic design. Stamps that look great and will save you time. Durable case with a refillable ink pad. Available in assorted colours, simply state your colour preference. Quality Colop brand with our unique artwork design. Size of stamp: 38 x 14mm. Stamp in Language with design with a Heart Icon. 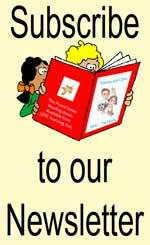 Text is in target language - I "Heart Icon Image" (Target Language)!. Examples - I "heart icon" English!. Saya "heart icon" Bahasa Indonesia! Ich "heart incon " Deutsch! "Heart icon" L'Italiano!etc. Choose your Ink Colour - Black, Blue, Red, Green or Violet. Long lasting, self-inking stamp with praise word. Stamps that look great and will save you time. Durable case with a refillable ink pad. Available in assorted colours, simply state your colour preference. Quality Colop brand with our unique artwork design. Size of stamp: 38 x 14mm.